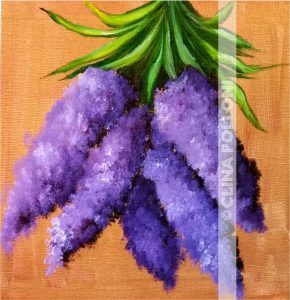 Learn to paint lavender flowers in a gold background. This painting was created for the painting classes, is a simple and charming painting for a person that is starting to paint. Is good for learning to create a texture in harmonic colors.